Did Joseph Lister clean the unwashed masses? | What About Victoria? Did Joseph Lister clean the unwashed masses? 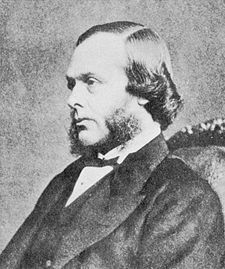 Joseph Lister (1827-1912), for whom the antiseptic mouthwash Listerine is named, made stunning and far-reaching discoveries in the 1860s: cleanliness matters, microorganisms of filth feed infection, and carbolic acid can help heal wounds. Not until Lister dispensed his revolutionary ideas in articles like “On the Antiseptic Principle of the Practice of Surgery” did people in the medical professions realize the inevitable filth of the hospital environment propagated the illnesses they were trying to contain or cure. On first glance, the paragraph above this one–which I wrote during and after the assigned readings–seems an adequate introduction to Sir Joseph Lister. On second glance, however, I realize I made undue assumptions about the specific consequences of Lister’s work. I cast him as a hero who stepped forward, out of nowhere, and bestowed his unique knowledge upon a grateful (though ignorant) community of medical professionals, scientists, and unwashed masses, as it were. However, the relationship between Lister’s work and the revolution of cleanliness in science and medicine that followed is a bit more complicated. For example, Lister believed in the miasma theory of disease, which purported ‘bad air’ caused and perpetuated illness and infection. Lister, however, went a bit further. Drawing on the work of Pasteur (who said there existed in the air ‘germs of various low forms of life’), who Lister called his ‘master’, Lister believed airborne microorganisms in the so-called ‘bad air’ resulted in infection of the wounded in his hospital. So, Lister reasoned, the key is to kill the ‘low forms of life’. Carbolic acid diluted in relatively large amounts of water, Lester found, was just the thing. Lester wrote of his new antiseptic techniques of dressing wounds with carbolic acid and performing surgery with carbolic acid. Lester had great success. Patients who before would have required amputation could now recover with limb intact. Although great care is evidently taken to carry out the antiseptic treatment so far as dressings are concerned–there is a great want of general cleanliness in the wards–the bed clothes & patients linen are needlessly stained with blood and discharge. Lister, far from the messiah of cleanliness, saw no danger in filth on surfaces, instead focusing only on the germs of the ‘bad air’. So, look back at what I initially thought: “Not until Lister…did people…realize the inevitable filth of the hospital environment propagated the illnesses they were trying to contain or cure.” I made a heroic assumption that, it turns out, is not supported by the historical evidence available. And so the heroic story falls apart. As consolation, we are left with better understanding of the development of cleanliness in medicine.